On February 25, 2016 we held a press conference to announce that Second Harvest Food Bank of East Central Indiana and Teamwork for Quality Living (TQL) will come together and merge our two great organizations into one, effective July 1, 2016. Since the announcement, there has been a lot of buzz from the community around just how this will work. So here are a few of the facts for clarity. 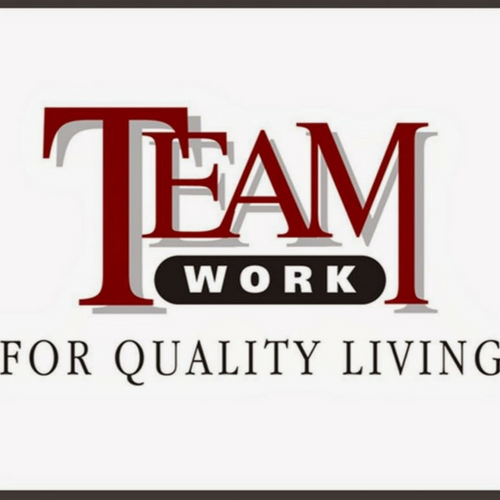 TEAMwork for Quality Living will move under the umbrella of Second Harvest Food Bank as a program. The TQL staff will become part of the Second Harvest staff and will move to the Second Harvest facility. The 501 (c) 3 status held by TQL will be dissolved and we will operate under the 501 (c) 3 held by Second Harvest. The community can continue to contribute specifically to the TQL program after the merge. We intend to develop partnerships for this program in the other 7 counties we serve as we go forward. Over the last several months, our board and management team at Second Harvest have been developing a long-range strategic plan for the continued growth and sustainability of the organization. Through this process, we looked closely at the issues related to hunger and food insecurity across East Central Indiana and we challenged ourselves to evaluate every aspect of our organization to find solutions to these problems. While there were numerous outcomes from this process, likely the most significant was a refined definition of our organizational purpose. Once this was in place, we were able to develop strategic objectives that will advance the organization and direct our energy, resources, and expertise in two core focus areas. This is best described in the following phrase; Help for Today and Hope for Tomorrow! Help for Today and Hope for Tomorrow is what this merger is about. This merger represents the practical application of what Help for Today and Hope for Tomorrow looks like in real terms. Our organization is in its 33rd year of operation. Picture our operation as a 3-legged stool. This first leg is Food Distribution. This is how most people would define us. We access millions of pounds of food that would go to waste and get into the hands of struggling people. This is what Help for Today looks like – providing immediate short-term assistance. Our current Hope for Tomorrow areas of emphasis include our second leg – Education. We have always had the role and responsibility of providing a food education component for the people in need and to expand the knowledge of the general public regarding the circumstances of struggling people. Hope for Tomorrow also includes the third leg of our stool, which is our role in Advocacy. To speak out for those have no voice but who have a right to be heard in all areas of our government and in our communities. This merger enhances Hope for Tomorrow by adding an important fourth leg to our work, a pathway to self-sufficiency. This will assist in providing a way for someone who wants to change the circumstances they’re in by starting on a path toward self-sufficiency, free from dependency on the safety net of service providers. This program coaches and encourages people with accountability on ways they can move from “Surviving to THRIVING”. This additional leg of our stool will help “shorten the line” of need. Providing this important path for independence provides Hope for Tomorrow and in doing so, we all benefit.